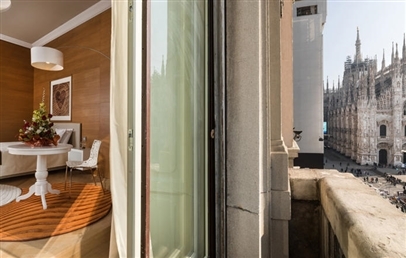 Located in Piazza del Duomo, a privileged position right in the centre of Milan, TownHouse Duomo is close to all the city’s main places of interest: Piazza and Teatro della Scala (100 m), Via Montenapoleone (400 m), the Palazzo Reale (100 m), the Castello Sforzesco (1 km), the Pinacoteca di Brera (800 m) and the Museo Poldi Pezzoli (400 m). The airports Milano Linate and Malpensa are respectively 7 and 50 km away; Bergamo (Orio al Serio) airport is 45 km away. 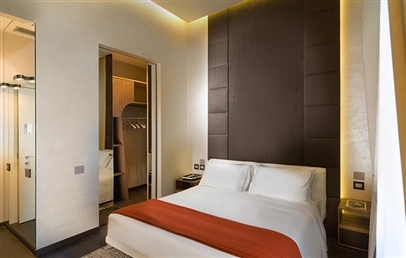 The first and only luxury hotel in Piazza del Duomo, TownHouse Duomo features 14 rooms and suites, with butler service, overlooking the piazza and its well-known cathedral, or Via Silvio Pellico. All rooms and suites are located in an elegant period building; the Reception and Restaurant are on the top floor, where there is also a lounge and a beautiful terrace overlooking the piazza. All 14 rooms and suites have been furnished and decorated by great Italian designers, combining Italian style and elegance with the most modern technology. They are all on the third floor and feature double glazing, so the noise from the lively piazza below cannot be heard. Breakfast is included in the price of the room. 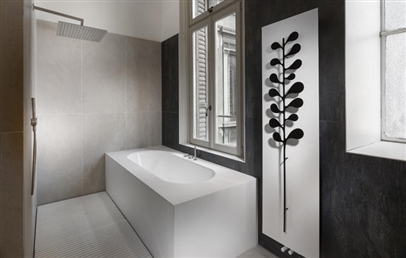 Executive – 30/40 sq.m, bathroom with bathtub and shower overlooking Via Silvio Pellico. Deluxe Vista Duomo – 25 sq.m, bathroom with shower, balcony and view on the cathedral. 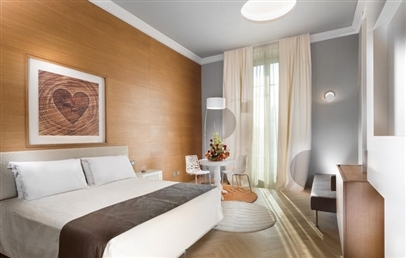 Suite Vista Duomo – all feature a private balcony with views of the piazza and the cathedral. The Ristorante Gourmet and the beautiful terrace, which offers a privileged view of the piazza and the cathedral, are located on the top floor. The building's classical style combined with the modern furnishings of the restaurant, create an exclusive and very suggestive atmosphere. TownHouse Duomo’s restaurant serves sophisticated interpretations of traditional Milanese and Italian dishes, making sure guests enjoy an exclusive dining experience in the heart of Milan. Alternatively, Duomo 21 Terrace Restaurant & Lounge, open only in the evening, offers dishes from a range of different cuisines, cocktails and some of the most prestigious wines. TownHouse Duomo rooms and suites offer butler service included in the price: welcome cocktail and fresh fruit in the room upon arrival, 24-hour room service. In addition, guests who visit the Galleria Vittorio Emanuele, will enjoy an exclusive, personalised service. Free Wi-Fi connection is available throughout the premises. These spacious and comfortable rooms are decorated with soft colours and feature a large bathroom with bathtub and shower. Guests may request hypoallergenic pillows, baby toiletries, cot and changing top, at no additional cost. Adjoining rooms and twin beds are not available; rooms are cleaned twice per day and turn down service is also included. View over Via Silvio Pellico. These luxurious and elegant rooms are all uniquely furnished and decorated in different styles. 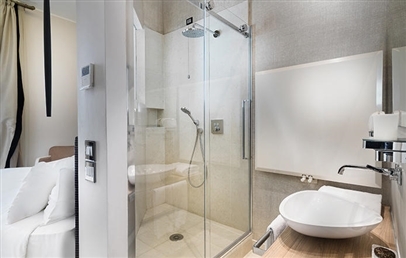 They feature en-suite bathroom with shower and floor-to-ceiling windows that open onto private balconies overlooking the piazza and the cathedral. Guests may request hypoallergenic pillows, baby toiletries, cot and changing top, at no additional cost. On request, two Deluxe rooms may be adjoined; rooms are cleaned twice per day and turn down service is also included. These luxurious and elegant suites feature a spacious and comfortable layout, with floor-to-ceiling windows that open onto private balconies overlooking the piazza and the cathedral. En-suite bathroom with shower or bathtub with shower box. Guests may request hypoallergenic pillows, baby toiletries, cot and changing top, at no additional cost. Adjoining rooms and twin beds are not available; rooms are cleaned twice per day and turn down service is also included.